Updated July 10, 2018 / Queens Neighborhoods / Queens Free Public Swimming Pools / Queens Things To Do / Queens Buzz NYC. Queens offers easy access to a wide range of recreational swimming pools. The following is our first attempt to provide you with a view of the range of public swimming pools available in the parks of Queens. We encourage you to make use of these facilities because they provide healthy, fun, and frequently free or inexpensive entertainment for both individuals and families with children. Note that we will begin linking to member home pages that have some relationship to these parks and / or their activities. This empowers you can follow these links to learn more about or become involved in a community or cultural group. Astoria Park is located in the northwest corner of Astoria and Queens under / north of the RFK Bridge and just south of Hellsgate Bridge. By Ditmars Blvd and 19th Street in Astoria. Facilities, Hours & Contact Info. There's an olympic-sized pool located in Astoria Park. 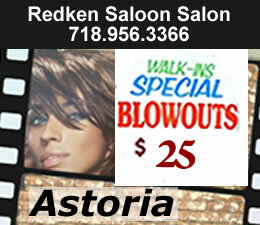 Visit or Call 718.626.8620 /2 [also 718.760.6969]. The hours are 11 am - 7 pm with a break for cleaning between 3 - 4 pm. There are bathrooms, showers, track and basketball and tennis courts. Click here to go to related homepages on this site - TBD. Fort Totten Park is located between Totten Ave & Weaver Road in Bayside. Facilities, Hours & Contact Info. There's a large pool located in Fort Totten Park. 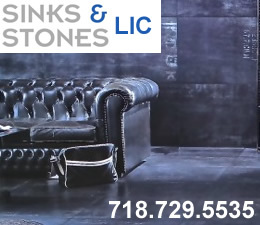 Visit or Call 718.760.6969. The hours are 11 am - 7 pm with a break for cleaning between 3 - 4 pm. There are also soccer fields. Marie Curie Park & swimming pool is located 210-98 46th Avenue at 211th Street in Bayside. Facilities, Hours & Contact Info. There's a mini pool [40 x 20 x 3] located in Marie Curie Park. Hours: 11 am - 7 pm with a break for cleaning between 3 - 4 pm. Fisher Pool is located at 99th Street and 32nd Avenue in East Elmhurst. Facilities, Hours & Contact Info. There's an intermediate sized pool with bathrooms. 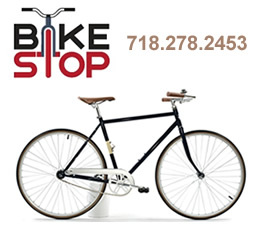 Visit or Call 718.760.6969. The hours are 11 am - 7 pm with a break for cleaning between 3 - 4 pm. The Queens Natatorium olympic-sized swimming pool is located at Avery Avenue & College Point Blvd in Flushing Meadows Corona Park between the Flushing and Corona neighborhoods and between the Grand Central Parkway and the Van Wyck Expressway. Facilities, Hours & Contact Info. There's an INDOOR olympic-sized pool located in Flushing Meadows Corona Park. 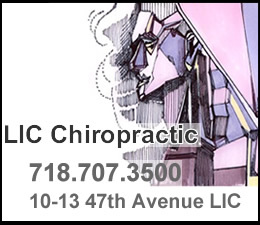 Visit or call 718.271.7572. Hours are Mon - Fri 6 am - 10 pm, Sat 9 am - 10 pm & Sun 9 am - 8 pm. Facilities in the park include skateboard rink, ice rink, tennis courts, golf course, mini-golf, running track, soccer fields, cookout grills, and lake. The Queens College swimming pool is located on the Queens College campus in Flushing. Facilities. There are two pools, one for wading and one for swimming. Visit or Call 718.997.2777 between the hours of 9 am - 9 pm, but check for when membership swimming open. Click here to view a map of Queens College in Flushing Queens. Click here to obtain Queens College in Flushing contact info including website. 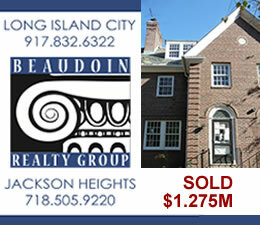 Located at 252-72 Little Neck Parkway at 72nd Avenue in Jamaica. Facilities, Hours & Contact Info. There's a mini pool [40 x 20 x 3] located in the Castlewood Playground. Liberty pool is located near downtown Jamaica at Liberty Avenue [106th Avenue] and 173rd Street in Jamaica - just east of the York College Campus in Detective Keith L. Williams Park. Facilities. There are two pools, one for wading and one for swimming. 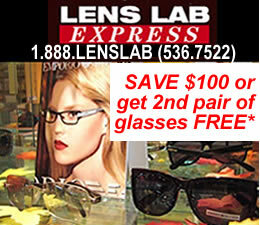 Visit or Call 718.523.6912 [also 718.760.6969]. The hours are 11 am - 7 pm with a break for cleaning between 3 - 4 pm. Also tennis courts, handball courts and a running track. Click here to view a map to Liberty Pool in Jamaica Queens - TBD. Click here to obtain Liberty Pool free public swimming in Jamaica contact info including website. The Roy Wilkins Park is located at the southern end of the Jamaica section of Queens along Baisley Blvd at 177th Street. Facilities, Hours & Contact Info. Roy Wilkins Park has an intermediate sized INDOOR swimming pool. Visit or call 718.760.6969. The hours are 11 am - 7 pm with a break for cleaning between 3 - 4 pm. There's a swimming pool on the York College campus, but we don't know the particulars to gaining access. It's likely reserved for students, but click here for York College contact info or for a York College campus map. There's a large olympic-sized pool at LaGuardia Community College near Thomson and Queens Blvd in LIC. We don't know the particulars of gaining access to its use [it's likely reserved for students], but click here for LaGuardia Community College contact info or for a LaGuardia College campus map. There's a YMCA located along Queens Blvd around 33rd Street which has a large olympic-sized swimming pool. We don't know the particulars of gaining access to its use, but click here for YMCA LIC contact info - TBD. The parish of St Sebastian has a community center between 39th and Woodside Avenue at 57th Street, that includes a large swimming pool. Memberships / access is available to the public. Click here for St Sebastian contact info or for a St Sebastian Woodside map. Located at 52-40 39th Road at 54th Street in Woodside Queens. Facilities, Hours & Contact Info. There's a mini pool [40 x 20 x 3] located in the Windmuller Playground. 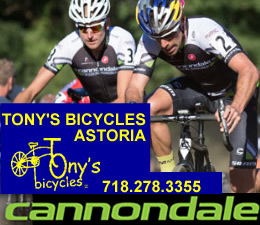 Click this link to go to Astoria Neighborhood / Long Island City LIC neighborhood / Jackson Heights neighborhoood / Sunnyside & Woodside neighborhood / Flushing neighborhood / Jamaica neighborhood. 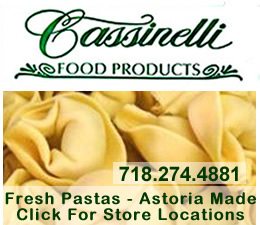 Click here for links to the nearby neighborhood Restaurants of each of these towns: Restaurants In Astoria, Restaurants in LIC, Restaurants in Jackson Heights, Restaurants in Sunnyside & Woodside, and Restaurants in Flushing. 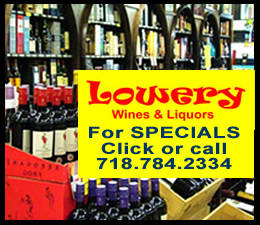 Click here for links to the nearby neighborhood Shopping Centers of each of these towns: Astoria Shopping & Map Link, Flushing Shopping & Map Link, Jackson Heights Shopping & Map Link, Jamaica Shopping and Map Link, Long Island City / LIC Shopping and Map Link, Sunnyside / Woodside Shopping and Map Link. You can also click this link into the Queens Business Directory to find local merchants and merchandise.